The Pens Hockey Show: The Penguins look to shut down Music City tonight! The Penguins look to shut down Music City tonight! Tonight we are in Nashville, Tennessee to watch the Pittsburgh Penguins battle the Nashville Predators. The Penguins had a horrible loss against the Dallas Stars on Thursday, which snapped their three-game winning streak. The Predator have had a great start to the season with a 6-1 record and are riding a three-game winning streak. The Penguins are going to have to stay focused on this game and play a smart game. They need to pick up all around the board after their last game. There wasn’t anything good to take away from that match. The Penguins have to be better and different in this one. The fourth line had a few different looks. The offense of the Penguins has to get going, or this will be another horrible showing. Not only does the offense need to step up, so does the defense. They have not shown a consistent effort this season. I hope they prove me wrong tonight. Let’s look at how the numbers stack up. Pittsburgh has won five of the last six against the Predators overall. Crosby has nine points in his last three games against them. The Penguins’ goals-against average of 2.14 is tied for fifth in the NHL. Also, Fleury is only one of four NHL goaltenders to play all games for his team this year. 4:30 - KESSEL SCORES! Malkin steals and gives to Kessel! Kessel's first shot is saved, but he fires home his own rebound! 2-1 overtime win for the Pens! Huge thanks to Mr. Marc-Andre Fleury! 5:00 - Bonus three-on-three hockey time! Lets Go Pens! 1:05 - Fleury did a great job on the penalty kill. The Preds are passing around the puck quite a bit right now. 2:43 - Pens kill the Preds' power play. 4:43 - Hooking call on Cole and Preds get a power play. Dangerous power play. 5:11 - Fleury still keeping this game within one for the Pens. 8:33 - James Neal Scores. On a delayed penalty situation, the Preds have the extra attacker. Fleury is bumped and Neal is able to fire the loose puck past the netminder. This game is tied at one. 9:19 - Fleury is just a beast right now. The Preds are peppering him with an unreal amount of shots! 12:13 - Fleury makes another save with his mask, not that he much of a choice on the matter. 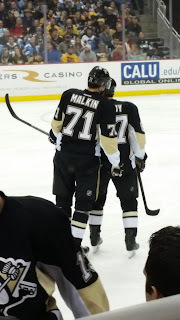 15:47 - Malkin with some great passing to get the puck over to Kessel for a quality shot chance. 18:43 - The Pens power play comes to an end. 20:00 - 60 minutes of regulation left to go in this one! The Pens have a power play for another 1:17 to start this one! They have to keep the puck up in the offensive zone and give Fleury a break! 0:00 - Second period horn sounds and the Pens have the 1-0 lead! 0:43 - The Pens are getting a late power play as Weber is sent off for slashing. 1:25 - Fleury makes another great save. 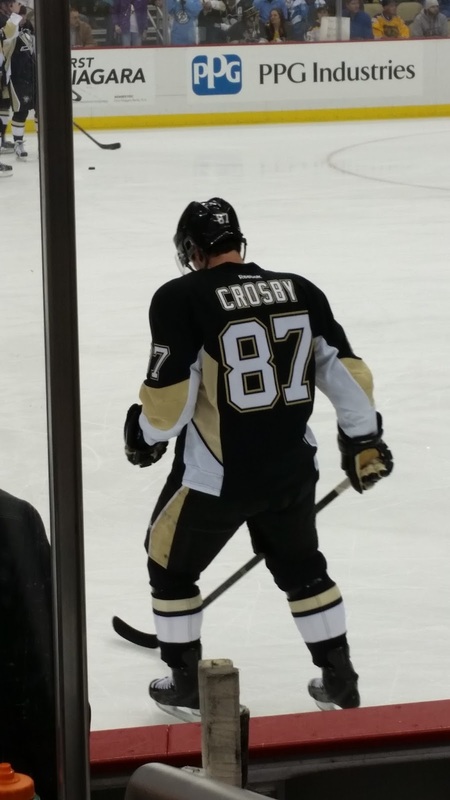 He is the reason the Pens were able to go up in this one. Holding down the fort. 4:56 - KUNITZ SCORES! Malkin gets the puck right in the neutral zone and has numbers! He drops a pass back to Kunitz, right in the middle of a wind up! Kunitz rips one past Rinne! 1-0 Pens! 5:06 - Malkin is set free! 7:06 - Time for a Preds power play as Malkin is headed to the penalty box for tripping. 7:14 - Both teams are just exchanging the puck and going up and down the ice. 9:42 - That is it for the power play. Nothing special, just the usual horrible power play. 11:42 - The Pens are going onto a power play. Ellis to the box for interference. 13:06 - Fleury is the one player keeping the Pens in this one. They need to thank him by taking some of the pressure off of him. 15:34 - Josi is denied by the glove of Fleury! 15:53 - Rust headed off to the locker room after blocking a shot with his right glove. 16:34 - Perron gets two good opportunities in front of Rinne, but can't get it behind the netminder. 17:17 - Smith gets two great chances on net, but Fleury shuts the door. One was a quick toe save on a slot shot from Smith! 20:00 - Time for the second period! I am hoping a more energetic and scoring hungry Pens come out of the locker room to start this one! Lets Go Pens! 0:00 - First period ends and this game is scoreless. The Pens have to pick up their play in the next period. 2:10 - Rust comes flying down the wing and cuts to the net. He is fearless as the Preds have been laying hard checks on those who approach Rinne. 3:02 - A scrum erupts in front of Rinne. Malkin gets physical along with some other Pens. 3:29 - Dupuis tries to jam in a loose puck as Hornqvist is laid out fly in front. Rinne is able to make the save. 6:44 - Luckily the Pens are able to kill off the power play. 8:44 - Dumoulin is back on the bench. Dupuis is off to the sin bin for holding and the Preds get a power play chance of their own. 9:35 - The power play is over for the Pens, but it was for the beginning. 12:18 - The Preds look like they are the ones on the power play. Just a horrendous display by the Pens on the power play. 14:35 - Watson comes flying behind the Pens' net and catches Dumoulin on the shoulder. Dumoulin's head whips around and slams into the boards. He goes down and stays down for a bit then heads to the locker room. Watson is giving a five-minute major for boarding. Pens to the power play. 15:15 - The Pens are skating well and cycling the puck well. Not a bad start, but they need to get more shots on Pekka Rinne. 18:25 - The Preds have come out playing physical to start this one. They know that this is a big game for the Pens, who are looking to get back on track. 20:00 - The puck has dropped in Nashville! I hope the Pens learned for Thursday's game! Lets Go Pens!